"Melkote: Priest spinning the sacred thread." [English: Melkote: Priest spinning the sacred thread.]" "[original caption] Melkote: Priest spinning the sacred thread." Title: "Melkote: Priest spinning the sacred thread." 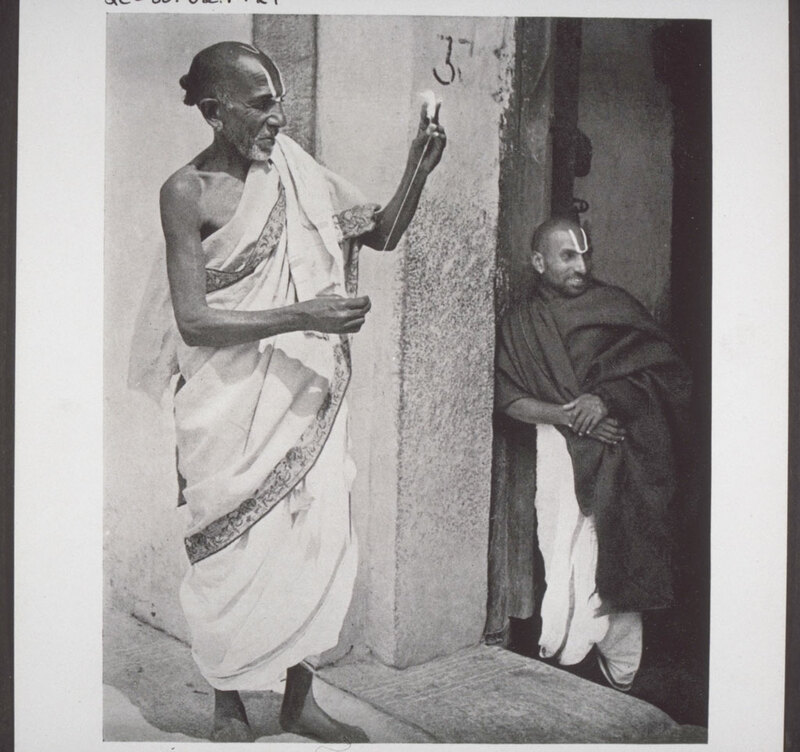 Krauss, Eugen August (Mr) , “Melkote: Priest spinning the sacred thread.,” BMArchives, accessed April 19, 2019, http://www.bmarchives.org/items/show/67055.